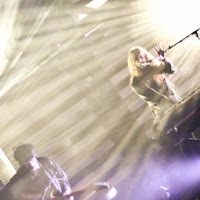 I went to see Beach House in Cork last month, at the Cork Opera House (review here, which was originally published on WeAreNoise). 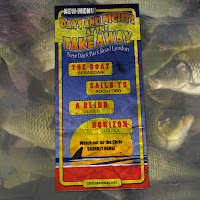 I’m a big fan of the band and I enjoyed the gig, but, disappointingly, I wasn’t blown away. That was my third time seeing them live, in fact, and each gig, for different reasons, fell short of the wow factor (Whelan’s 2010, some kind of onstage edginess; Primavera 2010, ropey sound). 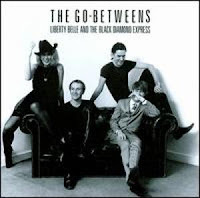 At the time, I put this down to a combination of things – mainly, the festival weekend crowd in the Opera House, much of whom were more concentrated on the bar than the stage, and qualms about the suitability of the venue for the band. Now, the Opera House is a magnificent venue, but it occurred to me that somewhere less expansive, high-ceilinged, theatrical might be a better fit for Beach House. As a companion piece to Little Annie & Baby Dee, try this, another type of New York lounge album, with loss and longing also at its heart. This one, though, draws on rock (post punk, drone - he used to front the drone rock band Aarktica) rather than cabaret for its core sound. 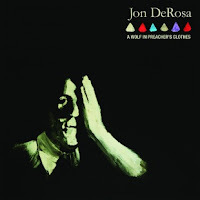 DeRosa has an irresistible croon which, allied with his lyrical observations of New York life (he also works as a bartender in the city), and the beautiful orchestral arrangements, all makes for a very visual effect. There’s also a cover of a Blue Nile song, and Julia Kent on cello is part of the musical cast, if you need any further persuading. Snow coffin is my favourite from the album (you can hear it below) - it's a beguiling mixture of insistent strummed bass and sweeping strings. 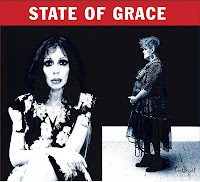 Some reviews now of the music that's been featured regularly on the show over the last few weeks, starting with Little Annie & Baby Dee. This is the label blurb for the album. We started the show this week with XTC from an album I only picked up again over the weekend, having "lost" it years ago, the great Apple Venus. 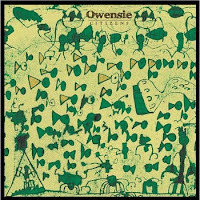 River of orchids is such a strange but uplifting piece of music, Andy Partidge's vocal is brilliantly unhinged. There's a new Hauschka remix album out in the new year, we had Michael Mayer's lovely, slow building house re-do of Radar. He's the head of the Kompakt label, based in Cologne, and with Hauschka/Volker Bertelmann from Dusseldorf, that's an axis of current German electronic music right there. Jon DeRosa was back again with the gorgeous Snow coffin, the most moving anti-war song in a long time (at least I think I detect a war comment in it). Get Well Soon also in there, with another epic piece of orchestral, sweeping pop music, using Italian 60s/70s film music as his (Konstantin Gropper) drawing board, Rota, Argento, Morricone and the like. 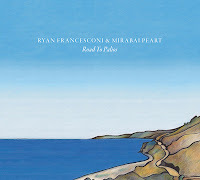 We had a track on the show a few weeks ago from Ryan Francesconi and Mirabai Peart, called Road to Palios. It's the title track of an album to be released on Bella Union on Dec 3rd. It's a series of tunes, really, spun out over almost 9 minutes - sometimes meditative, sometimes urgent - consisting of guitar and violin instrumentals, and it's absolutely fantastic stuff. For anyone in Cork, you might remember Ryan & Mirabai played in Triskel Christchurch last year, around the time of the Joanna Newsom show in Marlay Park in Dublin (they both play in her touring band). Here were my thoughts on that gig at the time - it was a stunning performance. I can't be sure if they played Road to Palios that night, but there were certainly other tunes with similar trajectories, drawn from their travels around Greece and the Balkans. Two pieces of clapping music to start the show this week, from Dirty Projectors and Pollens (who sound like they are influenced by the Projectors, and that's fine by me). Just from Chevron could be a modern form of the protest song. New music from two fine English bands, Dutch Uncles and Fossil Collective; two great slices of prog pop, from windings and Wires Under Tension, the latter with a great orchestral heft to it; the latest in both the Collision/Detection and Days & Nights at the Takeaway (pictured) series; Ariel Pink pondering international espionage, that Peter Broderick gospel mantra I can't get out of my head and two absolutely wonderful brass arrangements, from Myles Manley and David Byrne & St Vincent. You can't beat a bit of brass, in fairness. This weekend one of my favourite bands, Beach House, played at the Opera House in Cork, as part of the city's Guinness-sponsored Jazz Festival. The Jazz Festival is something of an institution in the city, taking place over the Irish October bank holiday weekend. Over recent years, the festival has broadened to take in both a wider definition of jazz, and also a greater variety of programme. So for example, the Opera House had Balkan big band Taraf de Haidouks, Beach House and De La Soul, while across town in The Pavilion you could find Hypnotic Brass Ensemble and Toby Kaar, among others. 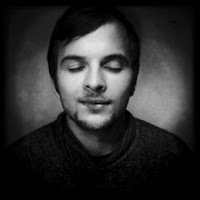 Johnny directed me to his band page, currently hosting EP 2 recorded in 2011 in Dublin, which opens with Kaleidoscope, the track we played on the show. It's an absolutely glorious broken-down piano ballad, with woozy double bass and reverb-soaked vocals. As Johnny himself commented in correspondence, it was written at a time of a major Beach Boys obsession (which is grand with me). 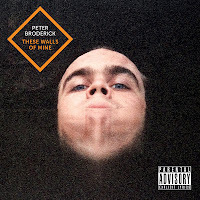 It reflects the overall ethos of the EP, showing an endearing blue-eyed soul demeanour. The production is direct and in service to the songs, which are superb. It sounds like nothing Irish, and that, to me, is also a fine thing in itself. 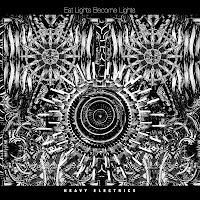 A few new albums in this week and we featured a couple of tracks on the show. 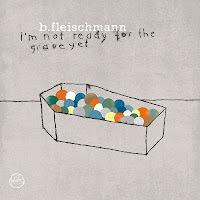 Wires Under Tension graced us with a brilliant, frantic, brass-laden instrumental - B. Fleischmann's album is called I'm not ready for the grave yet and he chipped in with Don't follow, a meaty, polyphonic backbeat boasting a wonderfully downbeat vocal. 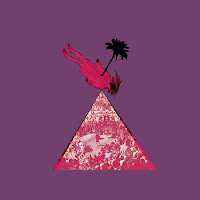 Mumblin' Deaf Ro was back with the heartbreak and absolute class of Little mite, Jon DeRosa's baritone made a welcome return too, Roll the Dice meets Pole, Sone Institute, Rozi Plain's compelling choral dynamics, and the irresistible dream pop of Melody's Echo Chamber. Richard Hawley and Susanna (she of the Magical Orchestra) both play Cork soon (I can't wait), and Dublin duo Thread Pulls show how much drama you can wring out of a drum set and a bass (some electronics too, in fairness). 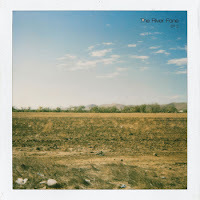 And The River Fane , the most sublime distillation of the best bits of The Beach Boys, which is no disservice to its gorgeousness. Nestled in the middle of Peter Broderick's new album is an unassuming 2 minute track with the weighty title Proposed solution to the mystery of the soul. Let me try to sum it up. It's like an evolving gospel refrain fed into a meditation mantra ("first you've got a soul that's awake while you're asleep"), complete with finger cymbals and the convex sound of a glass bottle of water being struck. That's all. Just a number of Peter Broderick vocals to fill it out, and rounding off with a second refrain - "I love when words ring out true". It's intoxicating, basically. I can't get enough of it. One thing I didn't expect to arrive in the post during the dark mornings and shortening evenings of October was a new bossa nova tune from an Irish singer-songwriter.